Have you ever thought which quilt block is one of the is the most popular block - .I guess it is the Log Cabin quilt block. It has many variations and modern renewals. Sometimes I am looking at them on Pinterest' boards and couldn't resist to pin more and more - so magnificent they are. 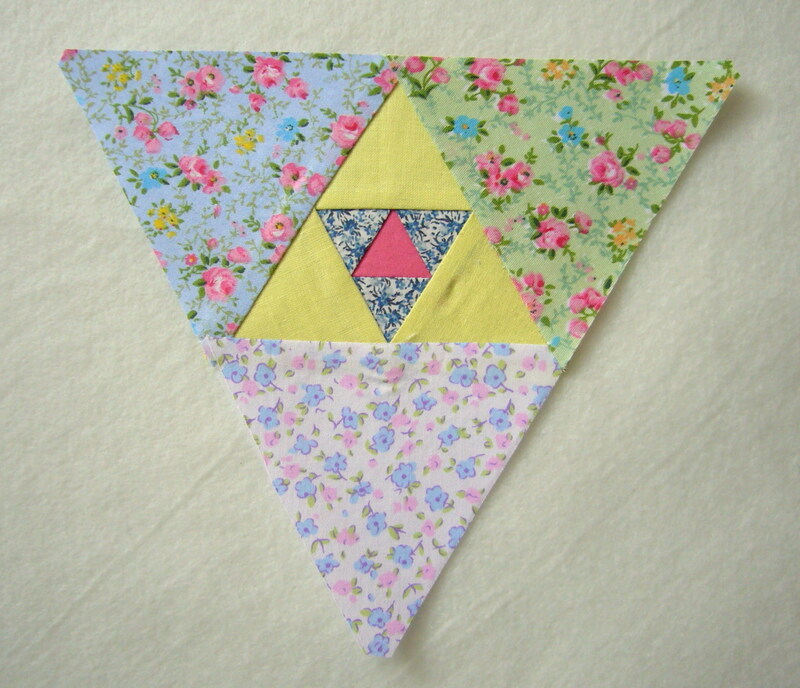 I have a dream wandering what will be happen if use triangle shapes instead of rectangle logs. Waked up and began sketching. Then gone to my studio and began working. First prepared triangles from different printed stripes. I didn't like the first finished block. It was absolutely mess of prints although all are small flower printed fabrics. The small pieces won't be different prints. 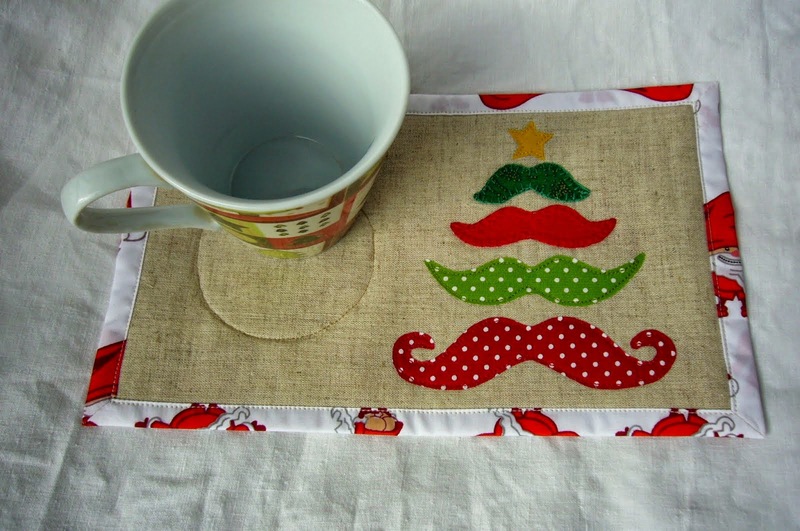 The last I have sewn was with dotted fabrics. I think it is the better one. 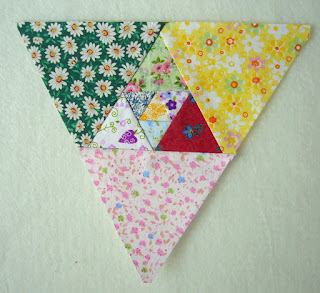 Alternating solids with prints occurred successful idea. In the evening I made many different combination using my EQ7 and like all of them. 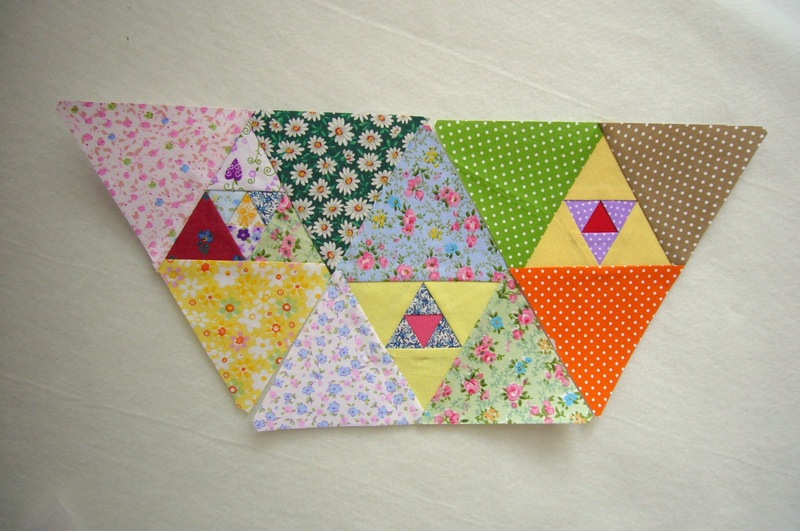 As I used an equilateral triangle as a basic shape there are many possibilities for collecting blocks - building hexies, collecting by rows, etc. 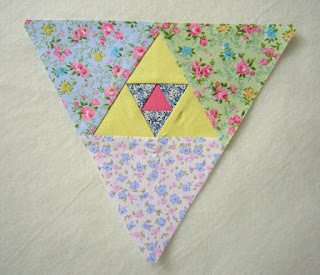 If you preffer to sew rectangle blocks ar have difficulty to attach bias sides of triangles keep reading. 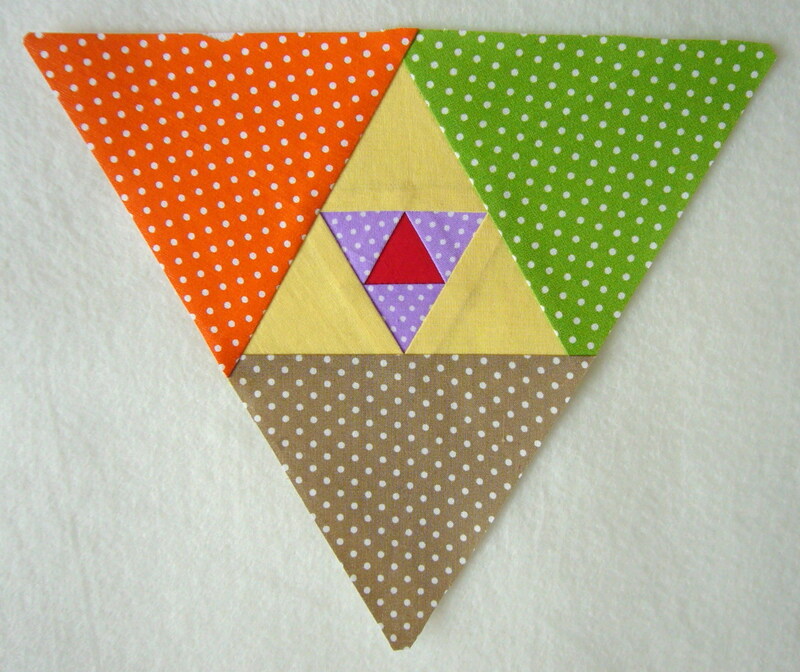 For instance if you add triangles to build a rectangular block, there are such variant for combining them. Do you like my play? The patterns are on CRAFTSY and ETSY. Enjoy and show me what you have created. I was very busy last 2 weeks, but now almost finished this project. I will show the whole quilt later, now - the back only. If you want to add a fresh look in your decor a new cushion is always a good idea. Visit the shop of my cousin. Now with 20 % off to celebrate 2 years.